Israel and Hamas, an Islamic group that seeks Israel's destruction, have fought three wars since Hamas seized control of Gaza since 2007. Israel and Egypt have also maintained a blockade over the territory since the Hamas takeover. The restrictions, aimed at weakening Hamas, have ravaged Gaza's economy. Hamas has led mass protests along the border with Israel for the past six months, seeking to put pressure on Israel to lift the blockade. Those protests have intensified in recent weeks as Egyptian and U.N. attempts to broker a truce have faltered. 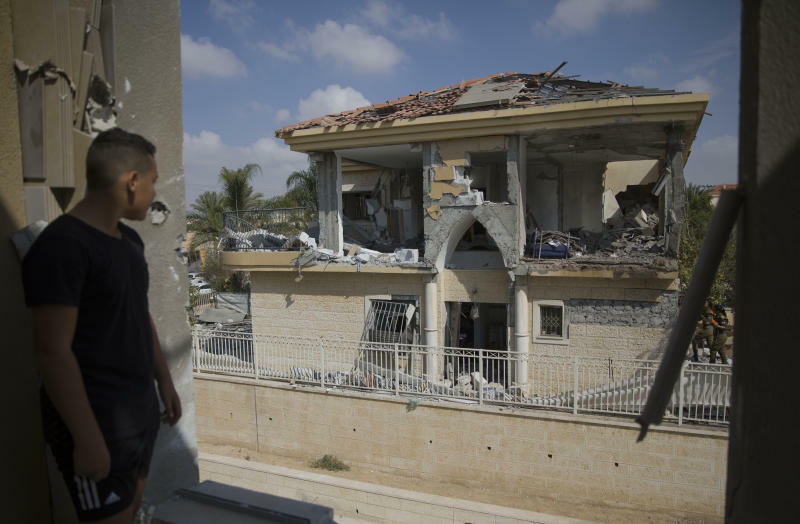 There was no immediate claim for Wednesday's rocket attack, which struck a home in the southern city of Beersheba, some 50 kilometers (30 miles) from Gaza. The military said another rocket from Gaza landed in the sea, just off the coast of central Israel. No injuries were reported in either strike, but the long-range attacks with powerful rockets signaled an escalation out of Gaza. Lt. Col. Jonathan Conricus, a military spokesman, dismissed Hamas and Islamic Jihad's criticism of the rocket strikes, saying they were the only groups with the expertise to fire such a weapon. Beersheba is the largest city in southern Israel, with about 200,000 residents. The mother's swift response likely saved their lives. The home was destroyed, and debris was scattered throughout the street, damaging parked cars and adjacent structures. "It was very scary," he said. "If it was falling on my house, I would be dead for sure." Following the attacks, schools in Beersheba were closed and Israel's military chief cut short a visit to the U.S. to come back and manage the crisis. Lt. Col. Jonathan Conricus, a military spokesman, said 20 Hamas targets were struck, including offensive tunnels and weapons workshops. The military released video purportedly showing militants preparing to fire another rocket toward Israel before they were targeted. 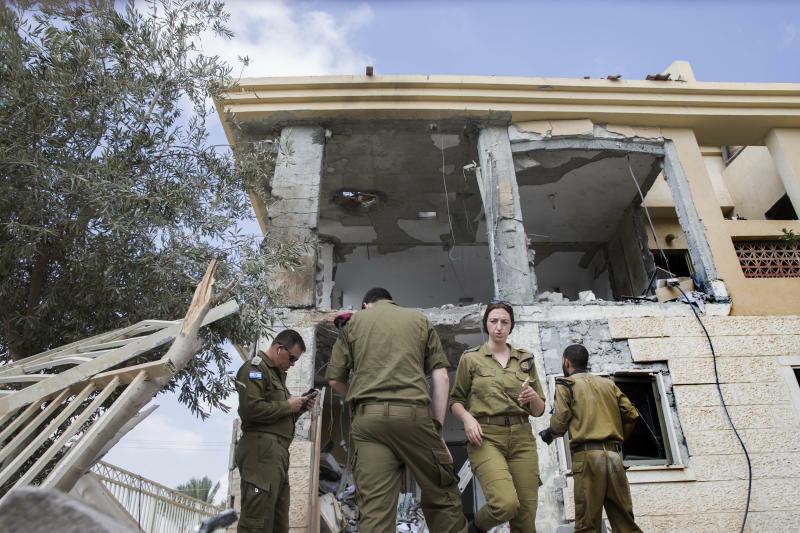 Fighting has flared up on several occasions in recent months, though neither Israel nor Hamas appears to be interested in another full-blown war. Egypt and the U.N. have been trying to mediate a long-term cease-fire. It was unclear whether the Egyptians were making any progress. Late Wednesday, the Egyptian delegation abruptly left Gaza and entered Israel. Meanwhile, Hamas announced that the head of Egyptian intelligence, Abbas Kamel, had called off a planned visit to Gaza on Thursday. "We are sorry that minister Abbas Kamel has canceled his visit to Gaza and Ramallah," Moussa Abu Marzouk, a top Hamas official, wrote on Twitter. 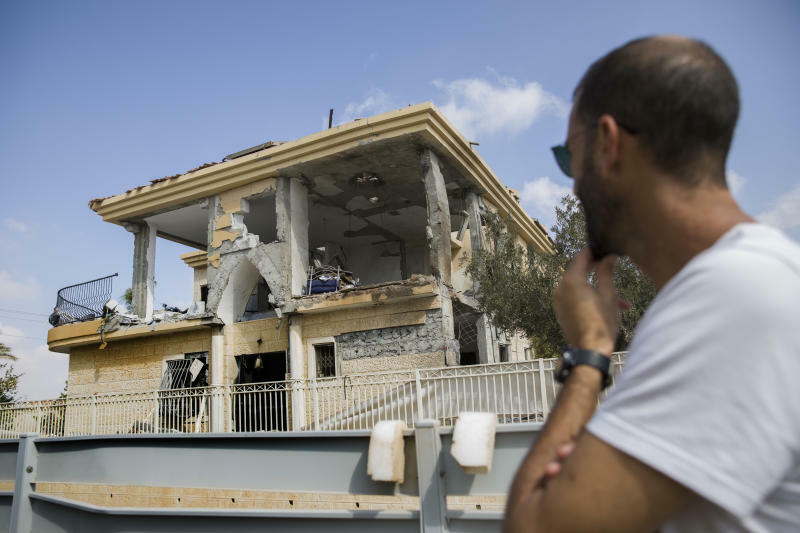 U.N. Mideast envoy Nickolay Mladenov said the situation was "particularly complicated" after the rocket attacks. "Unfortunately, they fit a pattern of provocations that seek to bring Israel and Gaza into another deadly conflict and confrontation," he said at a meeting with Israeli President Reuven Rivlin. "It is our responsibility to do everything possible to avoid that confrontation." He said steps need to be taken to avoid war, alleviate the humanitarian situation in Gaza and to bring the internationally backed Palestinian Authority, ousted by Hamas in 2007, back in control of Gaza. "This is the only path forward and we need to make sure that in the next 48 hours we really see a de-escalation on the ground so that these efforts can continue," he said. The Israel-Egyptian blockade has restricted Hamas' ability to govern and made life extremely difficult for Gaza's 2 million residents. Electricity is supplied for roughly four hours a day, unemployment stands at more than 50 percent and tap water is undrinkable. The Hamas-led protests have intensified as Egyptian-mediated cease-fire efforts faltered. Last week, some 14,000 Palestinians thronged to the perimeter fence, burning tires and throwing rocks, firebombs and grenades at soldiers stationed atop earth mounds on the other side. Some 20 Palestinians breached the border last Friday, and seven Palestinians were killed, including four who the military said had entered Israel and approached a military position. In response, Israel has halted Qatari-donated fuel shipments to Gaza's power plant that were meant to ease the electricity crisis.